Pretty. Petite. Playful. Pinnies! Inspired by a 30-day sewing challenge on Instagram, these patchwork pincushions stitch up pronto and are perpetually addicting - no quilter can make just one. And why would they when the pinnies are so easy to create? Simply sew, quilt, turn, and stuff! 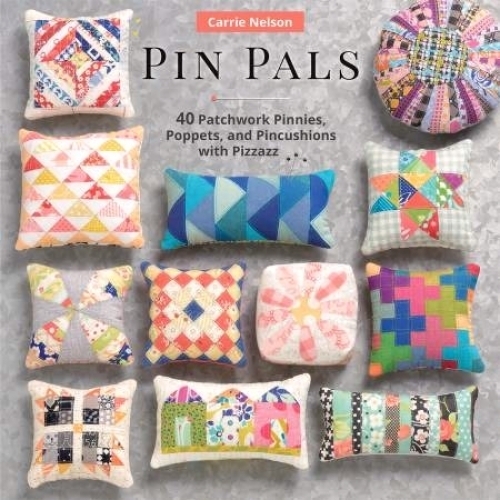 Best-selling author Carrie Nelson packs these pinnies with personality and shares adorable ways to use and display them as singles or in pleasing piles. Even beginners with basic sewing experience can whip up these pincushions in a flash. 96 pages.